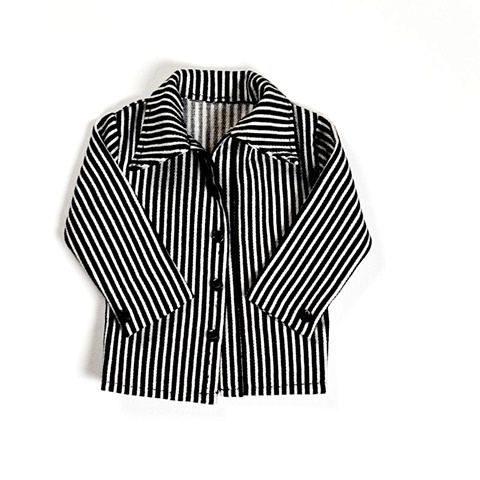 This jacket was worn in the 1930’s as a leisure cover-up most likely for a walk on the beach. This fabric is a form of denim from DeNimes France, it's namesake, but this example of denim is shown here as a striped variation, a more typical French-style patterning. This is 100% cotton twill.